Friends of Kids with Cancer | Jake's Crew iPad Fund Presents 100th iPad! Jake's Crew iPad Fund Presents 100th iPad! In June, Jake's Crew iPad Fund presented its 100th iPad to a deserving patient, Will. Will, a huge Blues fan, was surprised when Fox 2 came to his home to film the presentation of his new iPad and some signed Blues gear. His smile was infectious and his family was overcome with joy and gratitude; this is exactly what this fund was intended to create. "It's so amazing the kindness we've been shown," says Will's mother, Sheri. Will is a 10-year-old boy who was diagnosed with osteosarcoma on April 29, 2016. You can follow Will's journey through the Facebook page, Will Strong. 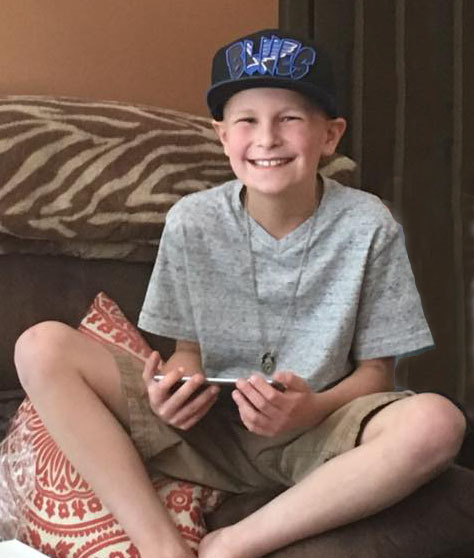 Jake's Crew iPad Fund began as an idea to give teenagers in cancer treatment a tool for keeping up with homework, staying in touch with friends, watching movies and playing games by the former patient, Jake Franzel. 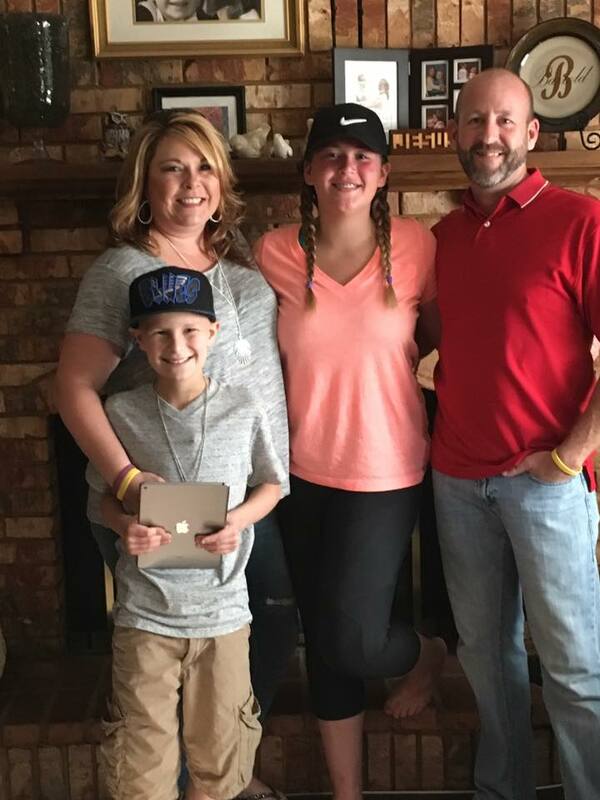 Jake received an iPad while undergoing treatment for osteosarcoma while in high school at Lindbergh and wanted to give back to other teens in treatment. Unfortunately Jake passed away on January 27, 2012, before he got to see his idea come to life. However, Jake's family, along with Friends of Kids with Cancer, have continued to carry on his legacy and spread smiles to teens in treatment, in memory of Jake. Each spring the family hosts a sell-out trivia night to raise money for Jake's Crew iPad Fund. The family also receives many kind donations throughout the year from family, friends, and generous organizations. "Jake's best quality was his selflessness, as he was dedicated to raising money for Friends of Kids with Cancer. He never forgot about those who helped him throughout his journey." Learn more about Jake's Crew iPad Fund and view photos from all 100 iPad recipients, here.